Seeds or plays on table. 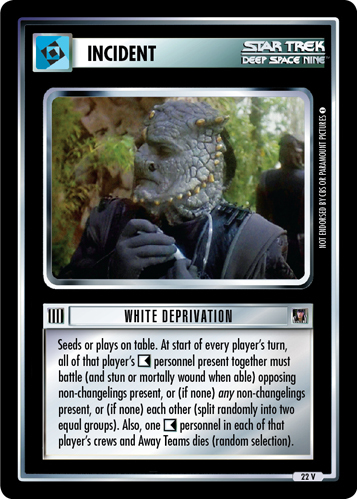 Ooby Dooby and Rogue Borg Mercenaries are nullified. 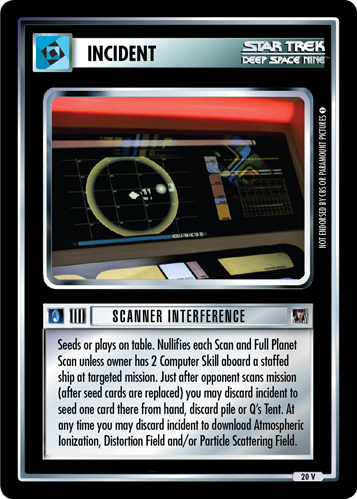 Q's Planet may not enter play. 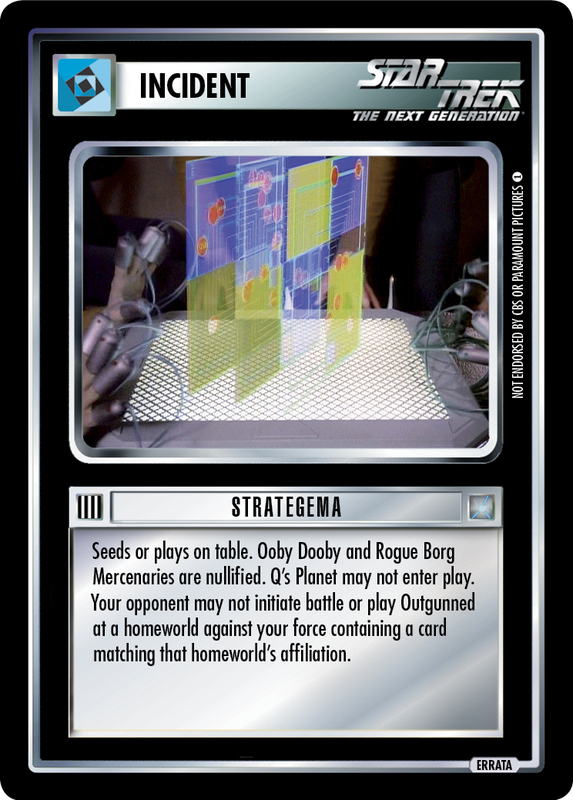 Your opponent may not initiate battle or play Outgunned at a homeworld against your force containing a card matching that homeworld's affiliation.